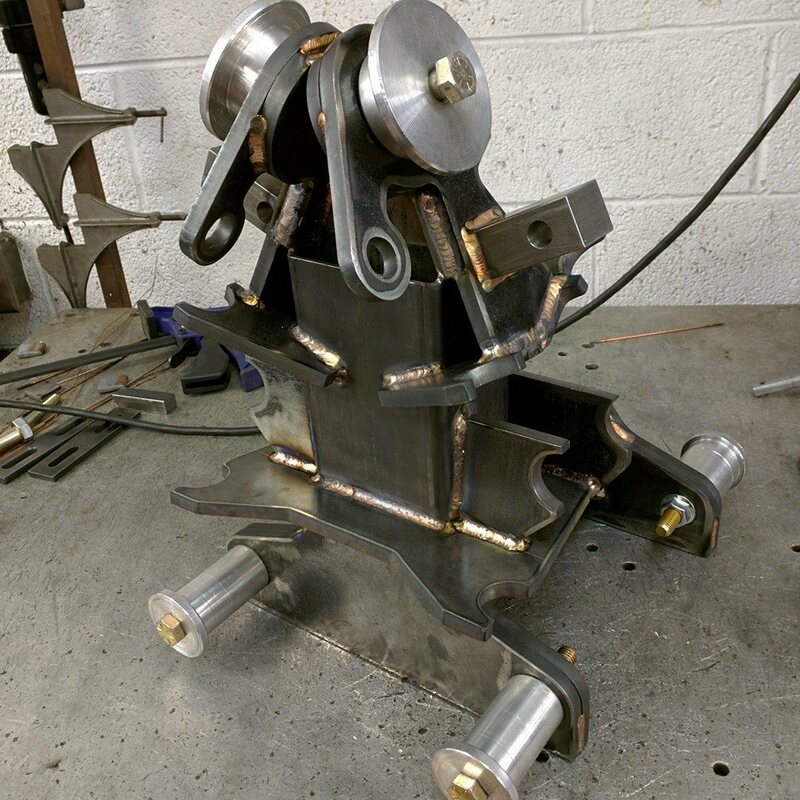 Fabrication – Industrial Chassis Inc. I have discontinued making the Dakota Based product line as well as the Studebaker and ’32 Ford products. I am currently concentrating on private builds only. Not doing any job shop or customer work at this time. For all other inquiries, please hit the forum listed at the very top of the page. I am limiting my time working on the website. I have been working on getting the framework done for the new features I want for the website and fixing some of the dumb stuff I had as place holders. Still not done, but happy with some of the progress. What I received in feed back from customers was navigation on the store, difficulty finding product and such. So my solution is to put multiple paths to find what you are looking for. At the top of the page are categories based on what you have. Not completely finished with them at this point. What I intend is a bit of information, history and links in each and everyone of those by make and year model. I will also be working on updating and adding new product. So far I’m pretty happy with the new Theme Plugin from www.woothemes.com . Those guys have been more than helpful getting me going after my crash. One of the reasons for doing the redesign is for you the customer to navigate and find products easier. The other is to add in a new forum that will go live in the next few days (I hope) where you and I can engage in a more technical sense. I get asked to help people sort their suspension issues on all sorts of vehicles. I am working to put together a searchable forum where we can get in-depth with the true geometry of what makes your IFS work and why. This will be a subscription service, Sorry folks but more and more of my time is being taken up by answering questions. For those of you who are customers, you will get access to the forums, but for those of you on the fence, the fee will be minimal. In that forthcoming forum, we can get in-depth to get your ride working the way you want it to. Eventually, I would like to expand the forum to be an offsite, 3rd party tech line for any aftermarket hot rod parts manufacturer. If you would like to participate in some way, PDF files of instruction sheets of kits you have installed would be helpful in growing to that goal. As always, I appreciate some input. In my last post, covered the Chrysler style screw in ball joints commonly used on Mustang II front ends. Today I want to talk about the Dakota ball joints and some misconceptions being run around the internet. There are a few generations of Dodge Dakotas now, I concentrate on the first two, being 87-90 and 91-96. Both are pretty much the same, the ball joints are exactly the same. I have run across a few people trying to conflate the 97 up (3rd Gen) Dakota ball joint issues with the earlier First and Second generation trucks. In the 3rd Generation Dodge made quite a few changes to the Dakota’s front suspension. Almost a complete redesign. About the only thing similar is the lower control arm spacing and bushing size (yes, they will fit our kits) and the upper control arm rear mounting bolt is in the same location. But that’s it. The rack mounting and angles are very different and the upper control arm became symmetrical for cost cutting reasons. The other major changes are in the spindle and ball joints. They bare no resemblance to the 1st and 2nd gen trucks. The ball joints became significantly smaller and the orientation of the lower ball joint changed from tension (pointing up) to compression (pointing down) making dropped spindles pretty much impossible. Have a look at the line up of ball joints here. From Left to right, the 1997 and up Dakota/Durango ball joint, The K772 Ball joint used in most Mustang II type set ups, The K778 joint used in the 87-96 Dakotas (and many other full size cars and trucks) and then on the Right is the K7025 used on the Dakotas and several other full size cars and trucks. Visual confirmation would show you, this is robust stuff. History can confirm that these larger ball joints were not failure prone. Sure, everything wears out, this is why we recommend using premium quality repair parts when building your car or truck. Not only will you see a longer service life, you will get a better ride quality with parts like the MOOG joints and bushings we suggest. I suppose shocks would be the next topic, stay tuned! What I wanted to discuss is regarding the screw in MOPAR style ball joint that is very popular with the tubular control arms for the venerable Mustang II suspension. The ball joint pictured at the right is the commonly used K772 MOPAR screw in ball joint used on tubular control arms throughout the industry. If you look up that number you will see it is meant for MOPAR Upper Mid-Sized cars. It is not intended for use as a lower ball joint where it will see tension loads. The ball joint on the Left is a K719. It has the same threaded body of the K772 but if you notice one very different difference in that body, it encloses much more of the ball stud. This is a true lower ball joint meant for the Mid-Size and larger passenger cars. While it will directly replace your K772 ball joint in the control arm, the stem is larger. This larger stem requires you to machine your spindle to accept it. While many thousands of cars and trucks are on the road using the K772 as a lower ball joint without failure, we have seen a few. Granted, this is a very robust ball joint, and if you are using a quality joint like the MOOG Problem Solver line, you may never experience a failure. We have, on the other-hand, solved some driveability issues associated with the Mustang II suspension, mainly the nervousness out on the highway but replacing the ball joints with a true lower ball joint. Now don’t take this as the end all-cure all solution to your Mustang II suspension, it’s just something we have experienced. Because the K772 is not meant to be loaded in tension, it can be “sticky” and not let your steering wheel return to center properly. 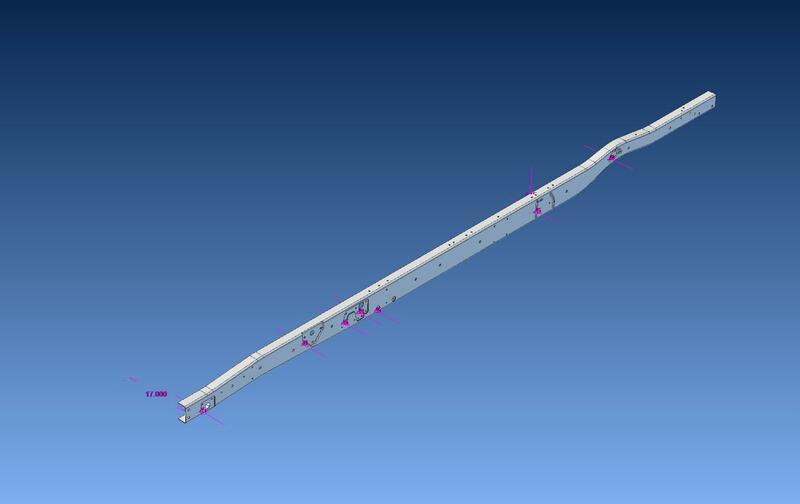 All of our Mustang II based control arms feature the K719 on the lower, and we machine the spindles to fit. If this seems like an upgrade you would like to make, give us a call and we can take care of you. Recently added are dropped spindles, engine mounts and a few other goodies. Like this, a bolt-in transmission crossmember for stock Model A frames. Allows you to use ’35 up style transmission mounts and a 48-52 Ford F1 brake and clutch pedal set. 1955-1959 GM Dakota kits very soon. AND MORE! Been working on the design for the newest kit to our line. The 1955-1959 GM Truck Dakota kit. We will have this ready by the end of September in two forms. 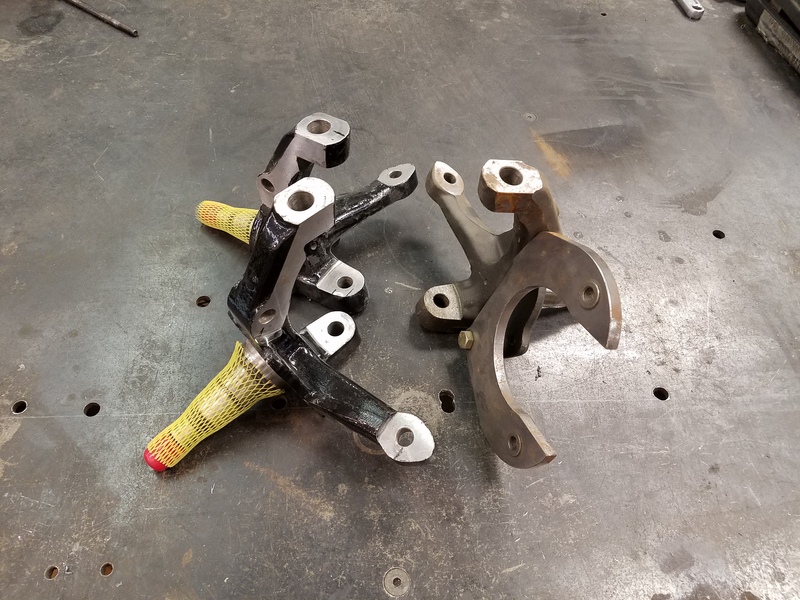 Our standard kit that accepts the stock ’87-’96 Dodge Dakota componentry and this will be our first venture into a tube control arm and coil over front end! Yes, you read that right we are going to offer tube control arms very soon. I have been working on the design and the fixturing to get these to a reasonable cost. So look for an official release of the newest kits very soon. We have also been working on engine mounts and bolt on anti-roll bar mounts. I have some almost ready to go for Ford and Chevy engines in the 35-56 F100 kits. I need to check fitment on the others before we release them. I do my best to keep up with information on all of our products. I was recently informed that the earlier 1973-1982 Dodge D series rotors for the 3000 pound front axle take a different bearing and are not compatible with the Dakota spindles. I made a quick note on the D-series caliper bracket selection about this change and will soon update all of the information to reflect the correct interchanges. This morning however, was a question about springs for the Dakota IFS kits with 302 Fords. This is a work in progress and as I gather more information about the spring selections I will add it to the list to help you guys get the most out of your front end. This new information about the spring selection is in the Dakota Tech section.